We are a full-service industrial roofing contractor with over 20 years experience. We specialize in re-roofing of existing buildings to provide the best and most modern materials available to suit your building’s specific needs. Commercial roofing services are much more complex than residential services. 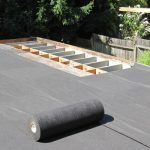 To complete a complete commercial roofing installation or re-roofing project with maximum satisfaction requires the skill level which can only be found with a well experienced contractor. Special preparations and organization must be in place when commercial roofing projects are completed or the company can suffer great losses. At Far West Roofing, Inc., our commercial roofing team will ensure that your property is well protected from damage or major disruptions throughout the entire service process. By having a team of reputable experts and utilizing state of the art equipment we are able to complete commercial roofing services in a record amount of time without cutting corners. Whether you need simple roof repair services completed or an entire commercial roofing installation performed, you can trust our team to get the job done in an honest, efficient, and affordable manner. Far West Roofing, Inc. knows Commercial Roofs. From the complexities of management and ownership, to the need to avoid business disruption. We cater to the needs of business owners who need roof repairs, roof replacements, or roof coatings. Honest advice is critical in making the right decision about your roofing needs, and you can count on us. Having roofing issues. Call us for a free inspection of your roof. We can service or replace a variety of roofing systems. Using state of the art equipment and expert training skills our contractors perform a series of diagnostic tests on the roofing system. This allows them to pinpoint any problematic areas that may require immediate roof repair services. For very poor performing roofing systems an entire re-roofing service may be necessary. Having this inspection performed prior to purchasing a home or commercial building can give you a better idea on the costs necessary to get the property in order before it can be utilized and give you a basis for negotiating a sales price that is wise. Roof inspections are also beneficial for current property owners to help them reduce wasted energy consumption they may currently be experiencing. Having an inspection performed by our contractors can be a real life saver in some situations Bountiful property owners are now faced with. 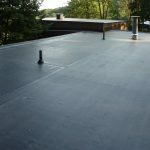 Membranes can be an excellent choice as a roofing material for low-slope or flat commercial roofs in South Florida and there are several very good products available. Polyvinyl Chloride (PVC) and Thermoplastic Olefin (TPO) are considered two of the best. Membranes can be installed in a fully adhered manner, mechanically adhered, or held down with ballast using fasteners around the perimeter and at penetrations. MBR is much akin to a built-up roof, except that instead of felt and fiberglass, designed for buildings with low-slope or “flat” structures. The bitumen layer is infused with synthetic rubberized polymers that give the bitumen resistance to brittleness when cold and reduced flow rate when hot. 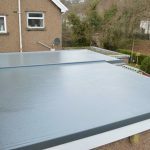 MBR provides superior waterproofing, a wide choice of surfacing options, can be applied hot or with adhesive, and with the proper coatings can be part of a ‘cool roof’ system. Modified Bitumen Roofing Systems are designed to withstand harsh exposure to extreme environmental elements. There are numerous roof coating products available for your home or commercial business. Determining which is best for your application takes an expert. We can inspect your home or building and determine which product is suitable for its architectural style, size, and roof pitch and is also capable of meeting your budget needs. All of our roof coatings eliminate chronic leaking, ponding and decay; utilize your existing roof; are weather and wind resistant and do not add significant weight to your building. All of the products we install are white (also called “reflective” roofing). They reflect solar heat, cutting air conditioning costs significantly. Some premium coatings even offer warranties which can significantly extend the life of your aging flat roof.